Cabin 3 has one private bedroom with a queen bed, a living room area with a queen pull-out sleep sofa and twin pull-out sleep sofa, close-up views of the Pemigewasset River, equipped kitchenette, refrigerator, microwave, coffee maker with coffee, private bathroom with walk-in shower, air conditioning, cable TV, and other basic amenities. 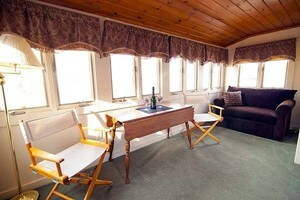 This cabin can sleep up to 5 people. 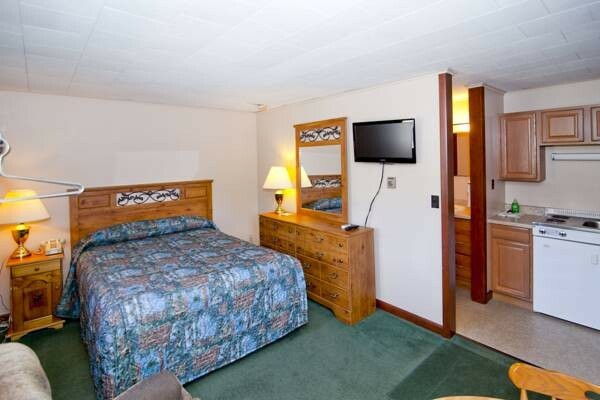 Motel 2 has one queen bed, one twin pull-out sleep sofa, refrigerator, microwave, coffee maker with coffee, private bathroom with tub and shower, air conditioning, cable TV, exterior porch entrance, and other basic amenities. 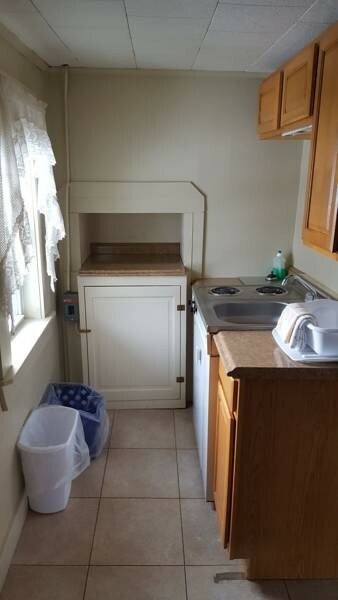 This unit can sleep up to 3 people. 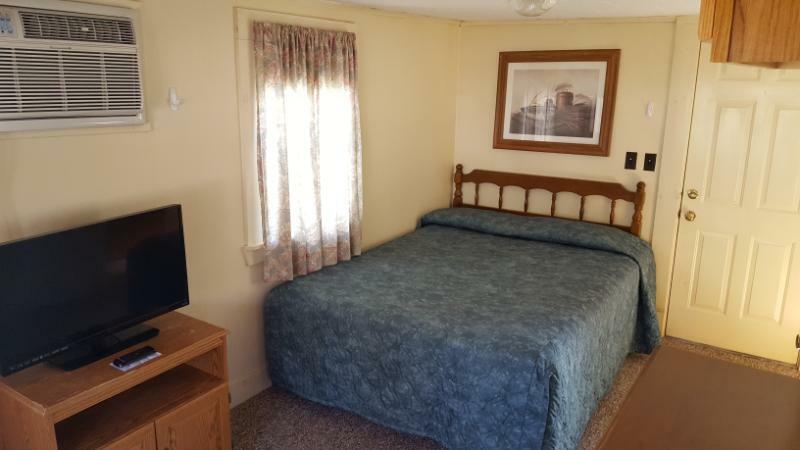 Motel 4 has one queen bed, one twin bed, refrigerator, microwave, coffee maker with coffee, private bathroom with tub and shower, air conditioning, cable TV, exterior porch entrance, and other basic amenities. 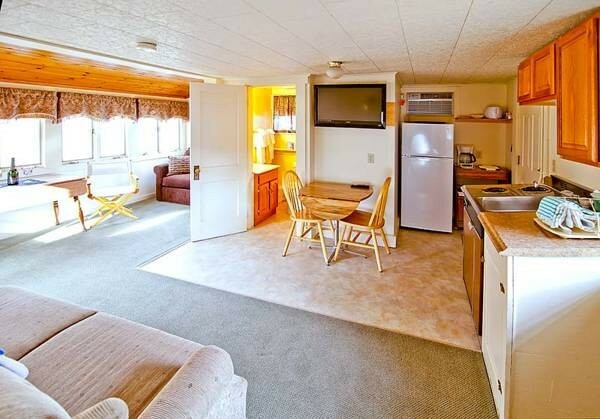 This unit can sleep up to 3 people. 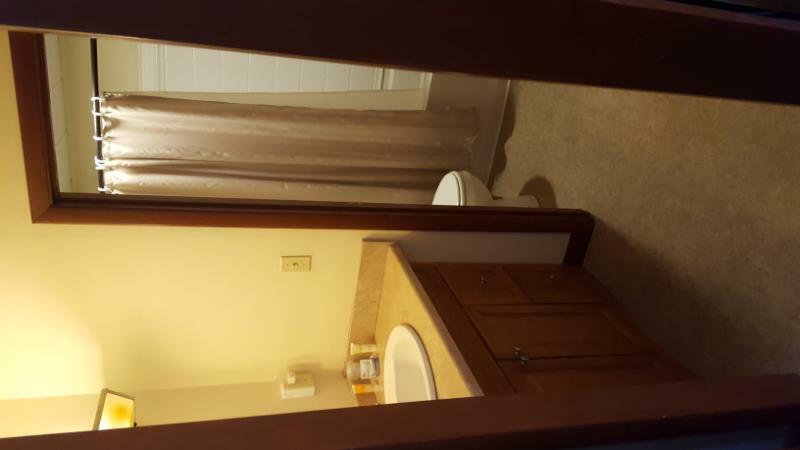 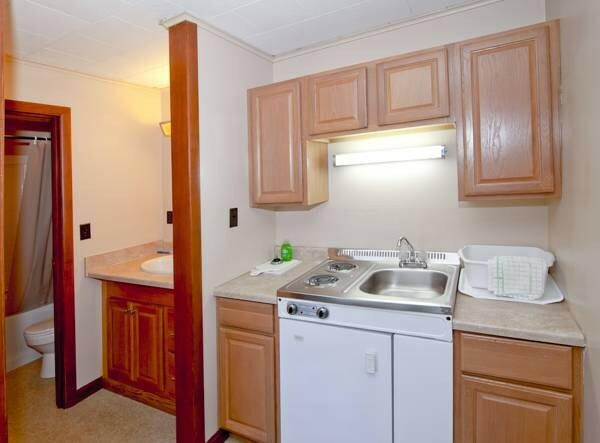 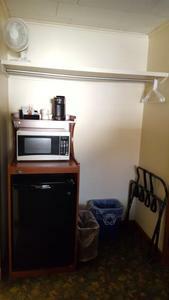 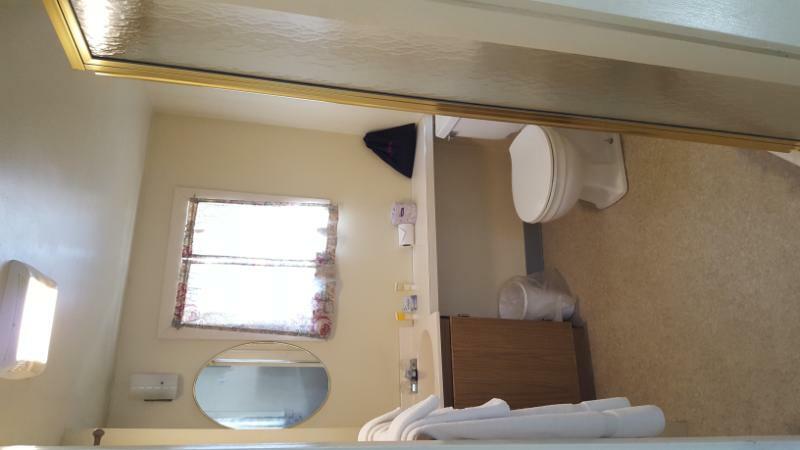 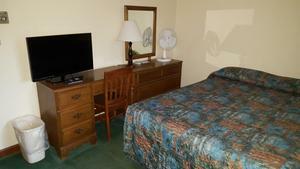 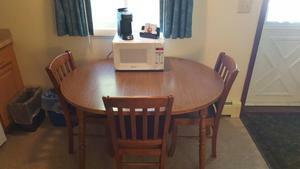 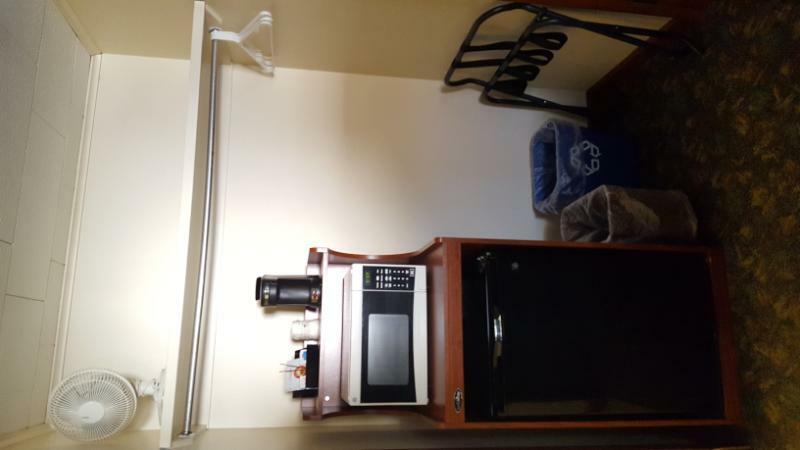 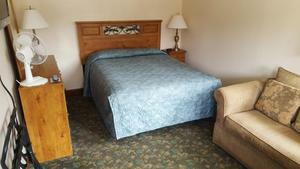 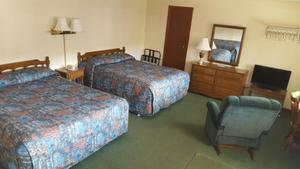 This room is connected to Motel 6 for larger parties up to 8 people. 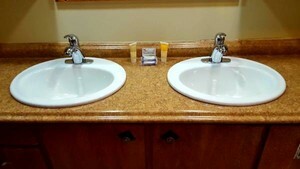 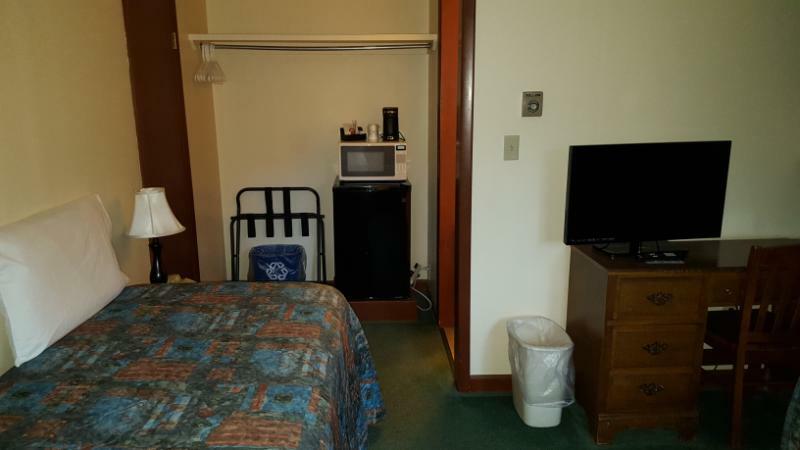 Motel 5 has two queen beds, equipped kitchenette with pots, pans, dishes, and utensils, refrigerator, microwave, coffee maker with coffee, private bathroom with tub and shower, air conditioning, cable TV, exterior porch entrance, and other basic amenities. This unit can sleep up to 5 people with our cot mattress option. 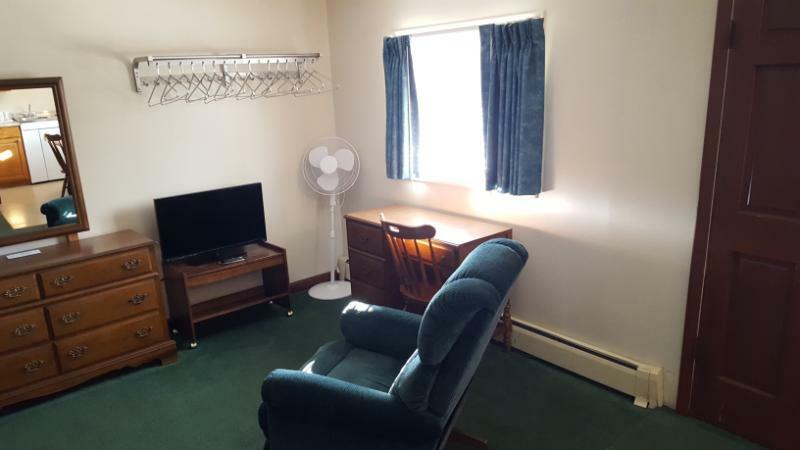 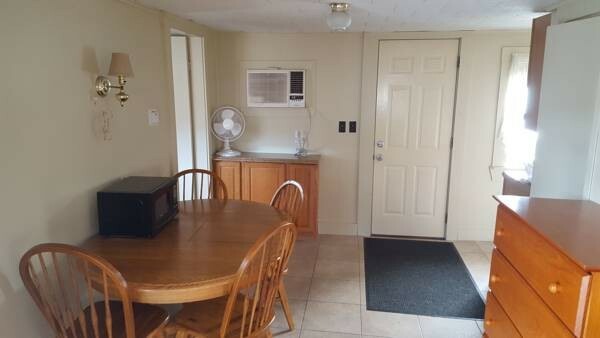 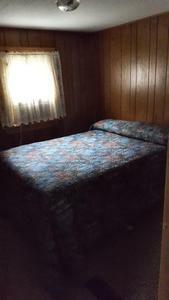 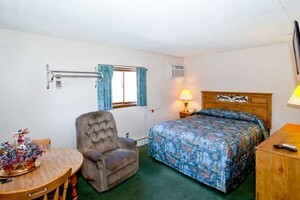 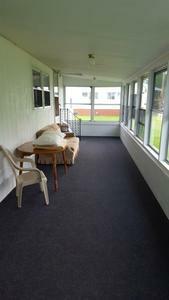 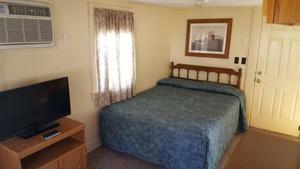 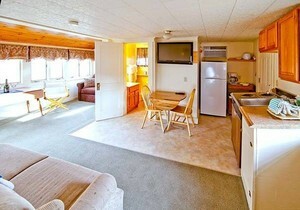 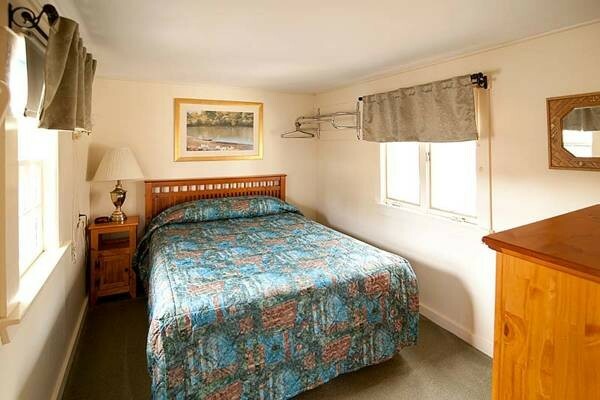 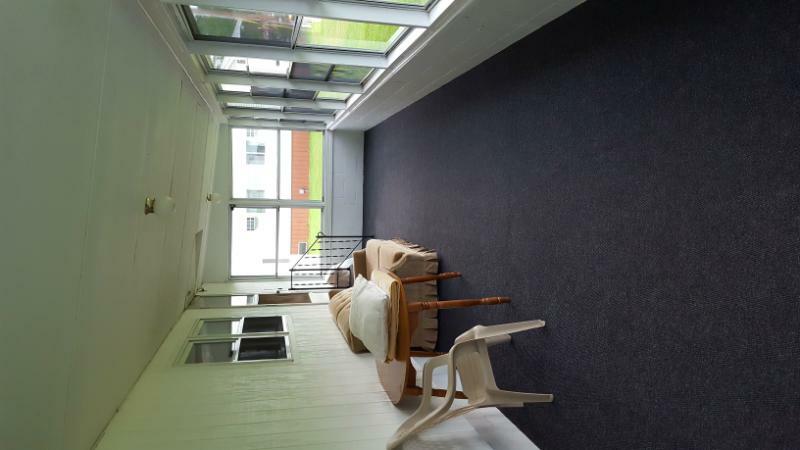 This room is connected to Motel 3 for larger parties up to 8 people. 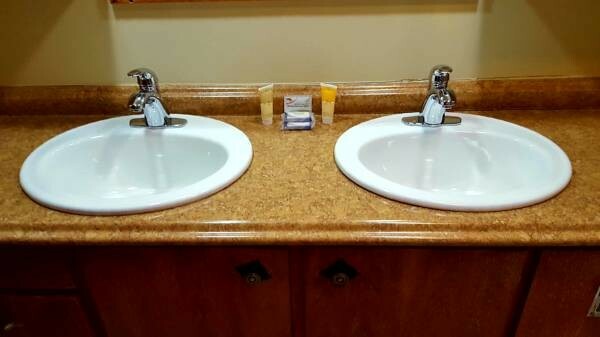 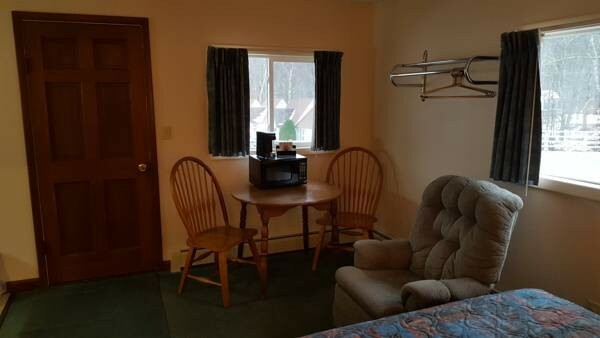 Motel 10 has two queen beds, equipped kitchenette with pots, pans, dishes, and utensils, refrigerator, microwave, coffee maker with coffee, private bathroom with tub and shower, air conditioning, cable TV, exterior porch entrance, and other basic amenities. This unit can sleep up to 5 people with our cot mattress option. 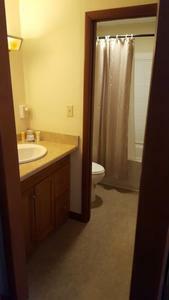 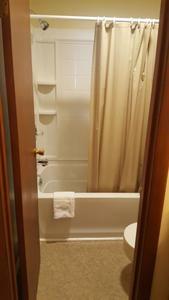 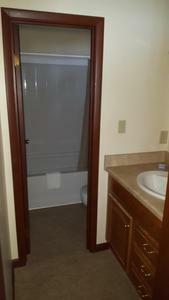 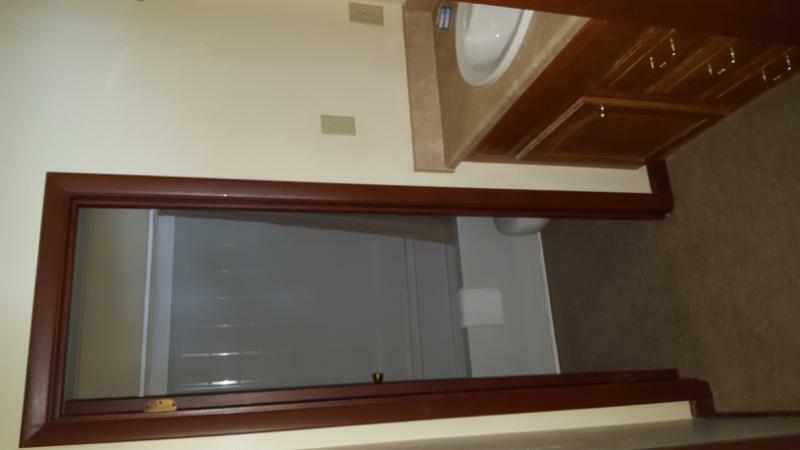 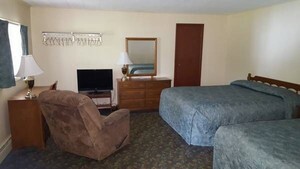 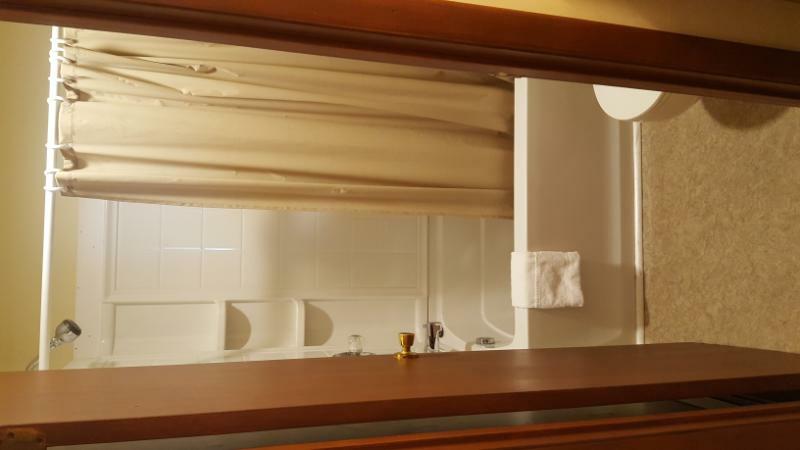 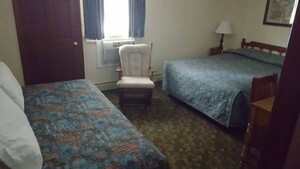 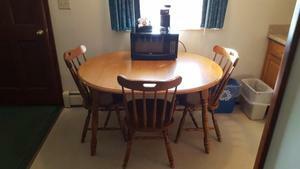 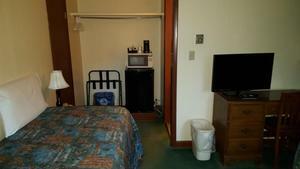 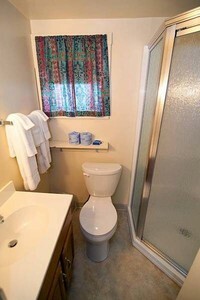 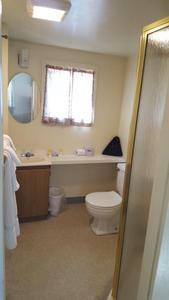 This room is connected to Motel 10 for larger parties up to 10 people. 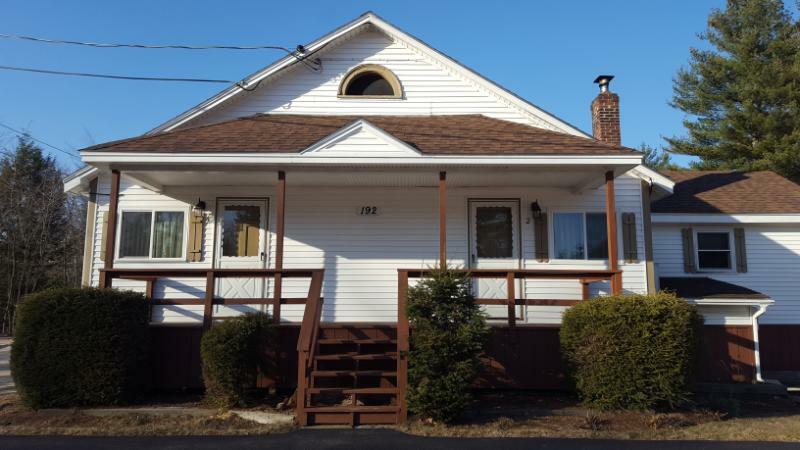 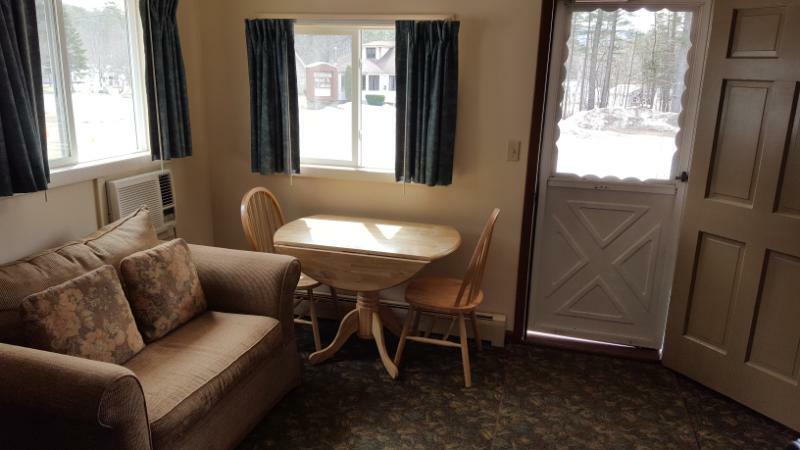 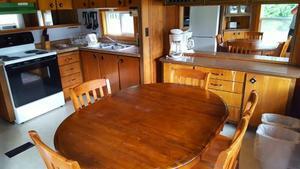 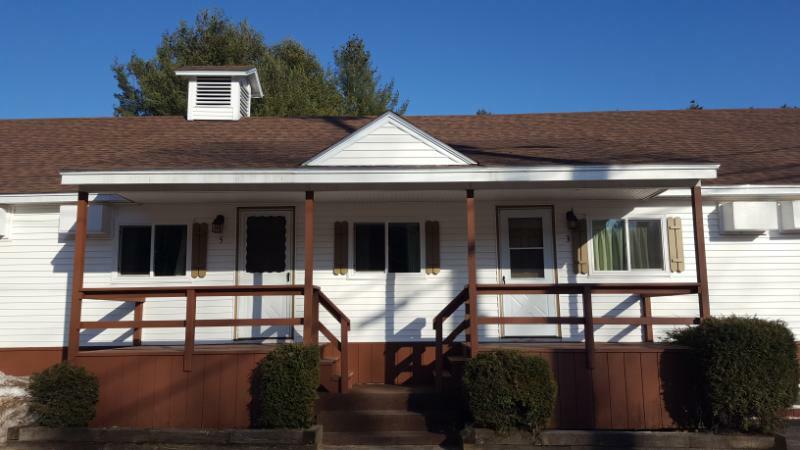 The Pemi Cottage has two bedrooms (one with a queen bed and one with a double bed), a living room with queen size sleep sofa, full kitchen with stove/oven and microwave, private bath with tub/shower, washer and dryer, cable TV and air-conditioning. 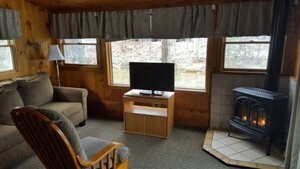 Cabin 1 has one private bedroom with a queen bed, a living room area with a queen pull-out sleep sofa, close-up views of the Pemigewasset River, gas fireplace, equipped kitchenette, refrigerator, microwave, coffee maker with coffee, private bathroom with walk-in shower, a private deck off the living room, air conditioning, cable TV, and other basic amenities. 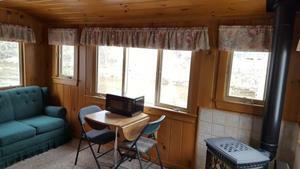 This cabin can sleep up to 4 people. 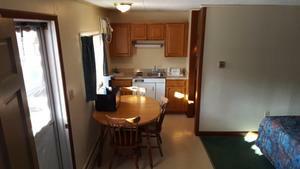 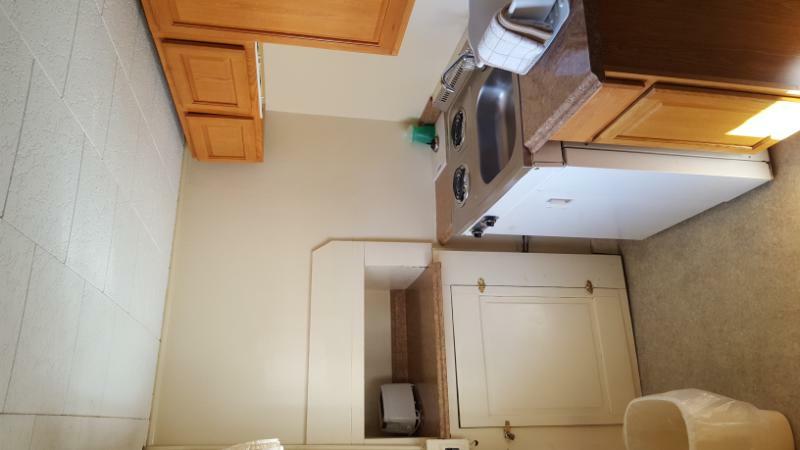 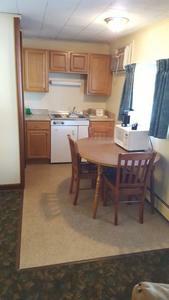 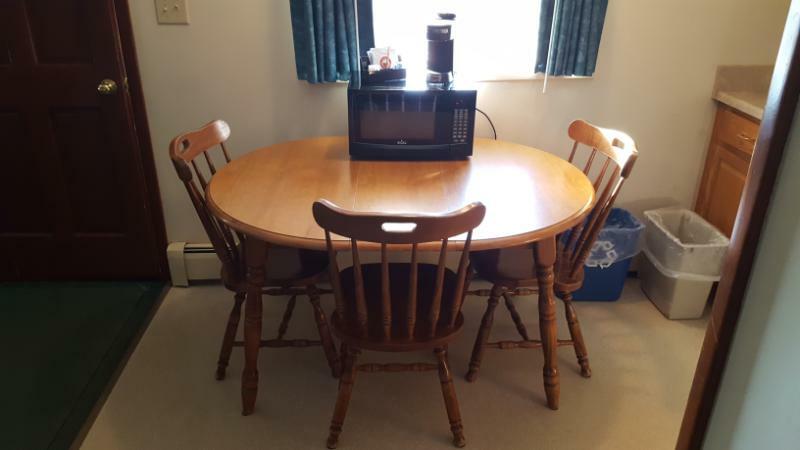 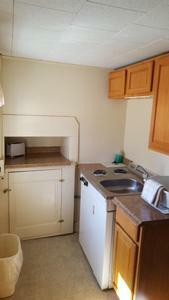 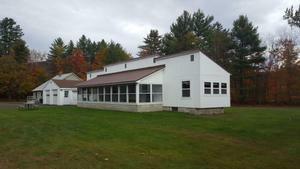 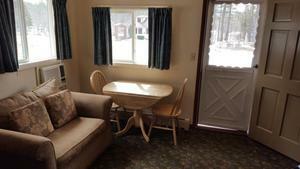 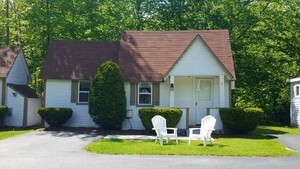 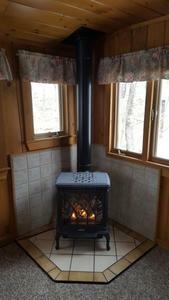 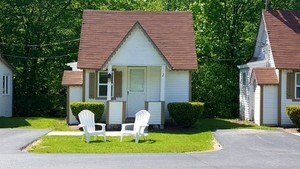 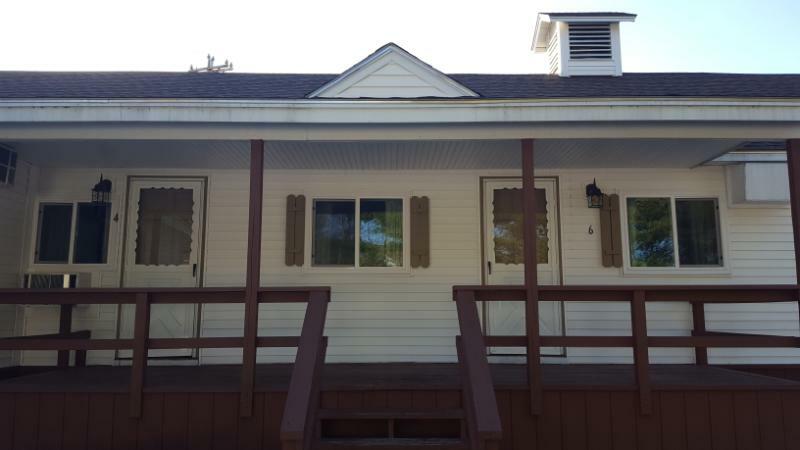 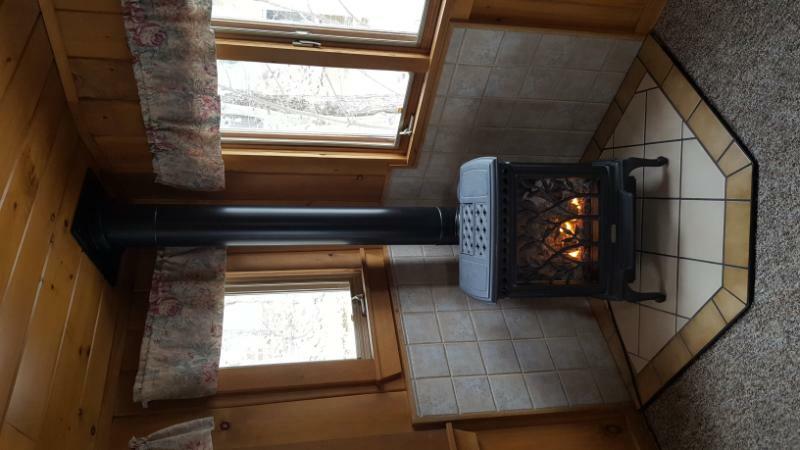 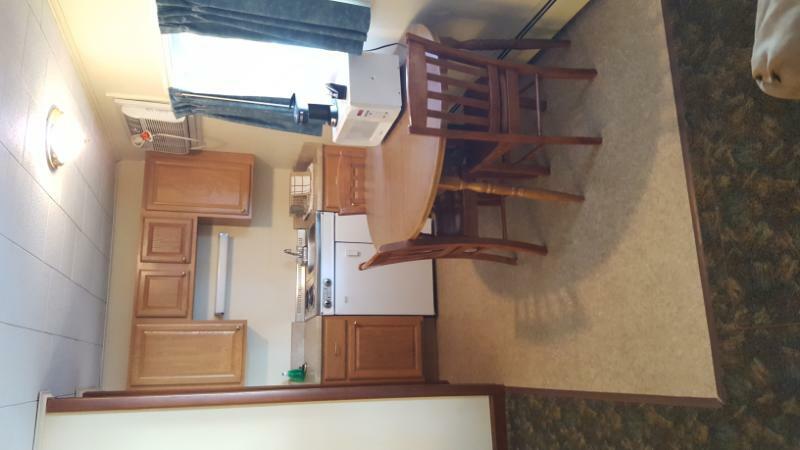 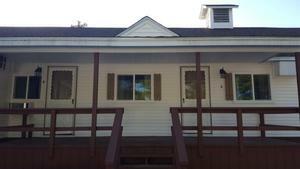 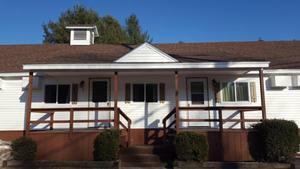 This studio cabin has one queen bed, a living room area with a twin pull-out sleep sofa, close-up views of the Pemigewasset River, gas fireplace, equipped kitchenette, refrigerator, microwave, coffee maker with coffee, private bathroom with walk-in shower, air conditioning, cable TV, and other basic amenities. This cabin can sleep up to 3 people. Motel 1 has one queen bed, equipped kitchenette with pots, pans, dishes, and utensils, refrigerator, microwave, coffee maker with coffee, private bathroom with tub and shower, air conditioning, cable TV, exterior porch entrance, and other basic amenities. 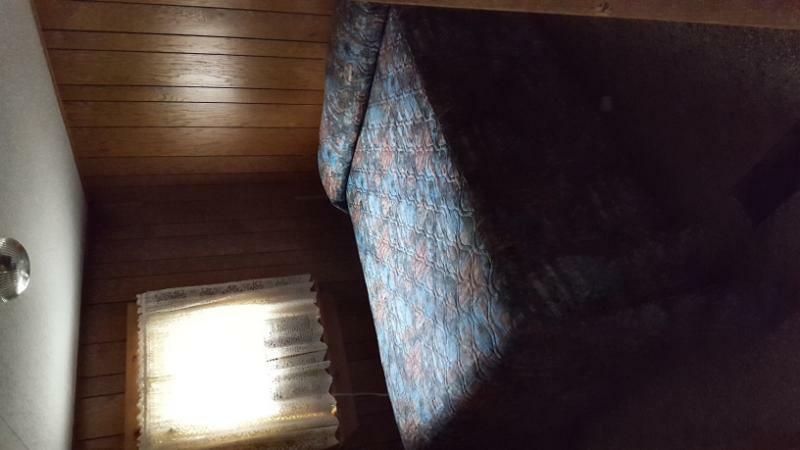 This unit can sleep up to 2 people. 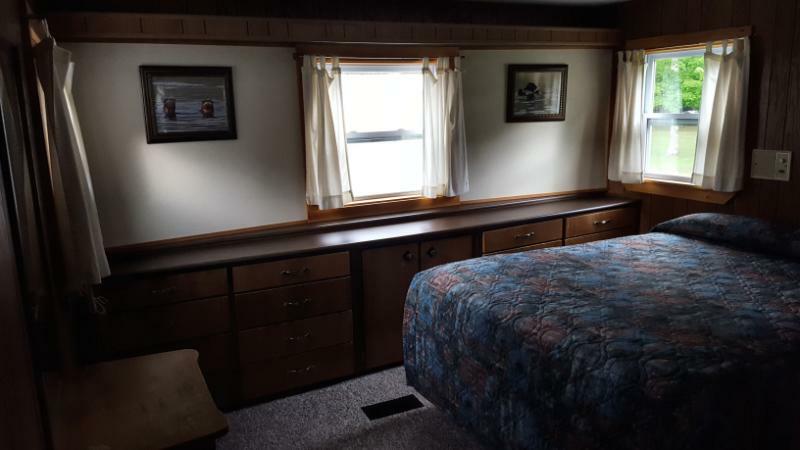 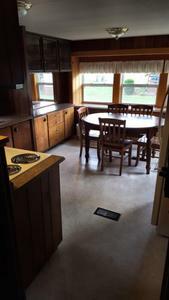 Motel 3 has one queen bed, one twin bed, refrigerator, microwave, coffee maker with coffee, private bathroom with tub and shower, air conditioning, cable TV, exterior porch entrance, and other basic amenities. 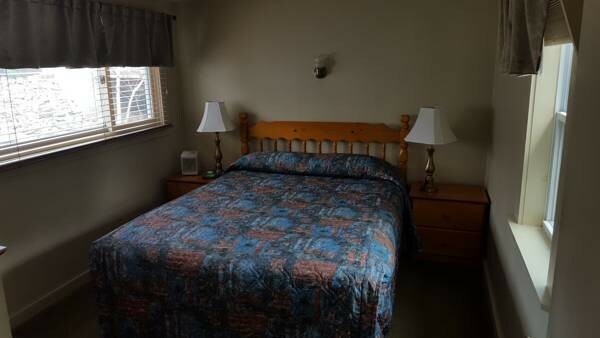 This unit can sleep up to 3 people. 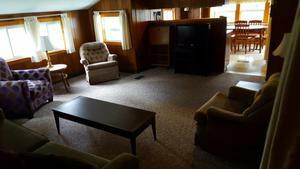 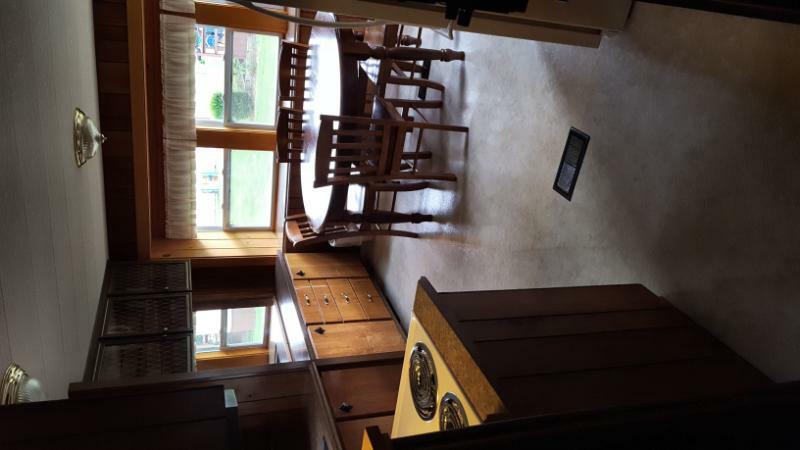 This room is connected to Motel 5 for larger parties up to 8 people.